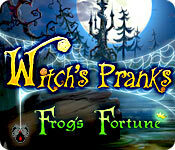 Witch's Pranks: Frog's Fortune is rated 4.6 out of 5 by 229. Rated 5 out of 5 by jlb1967 from So Much Fun I haven't had so much fun for a long time. Keep the games coming. Rated 5 out of 5 by AdrianaIP from Michigan J. Frog approves. The only thing missing is one of the frogs singing "Hello my baby"/ Except that, it is hilarious. Like sneak a frog past a hungry stork. Or use a catapult to send a frog over the ramparts. The perfect way to cheer yourself up when you are low. Rated 5 out of 5 by SLVRFX101 from My Prince has come I just had the game a couple days and played through, and LOVE it , wish I'd of found it sooner. Wish there were more like it fun cute and adventure , tough in spot but worth the effort. Do they make more games similar to this type. Rated 5 out of 5 by BellaDare from Refreshing! No death, red eyed demons or bloody mayhem This game is a delight. Especially if you don't want killing, dead bodies, fire breathing demons with red glowing eyes. It is cutesie, but it was a welcome change from the dark side. 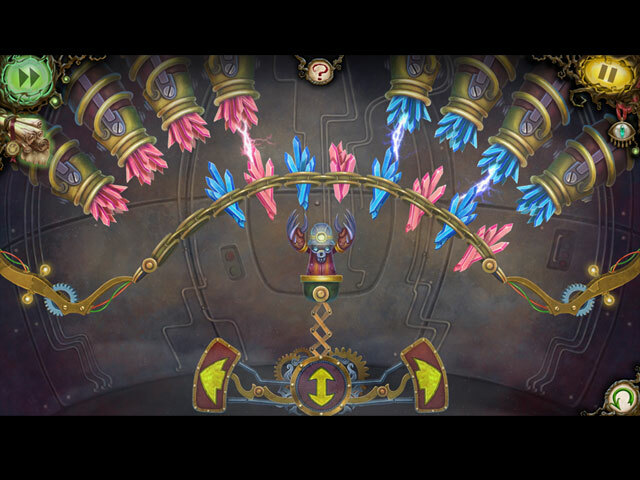 The puzzles were different and for me pretty challenging. I won't go into the story line because it is already described. If you like a great upbeat game than this one won't disappoint. Rated 5 out of 5 by Nancy61037 from No Pranks, Just fun What an absolutely fun game. Rainy afternoon, bored? Try this game. Loads to do, clever puzzles, with a couple of fabulous frogs. They just hop about and don't say a word (yeah) but lead you on a merry chase freeing their designated princesses., Get so tired of fire breathing dragons, death and destruction, mayhem and gore. Just loved it and had a couple of good laughs along with the excellent game play. Rated 5 out of 5 by Lettee from Laughed my backside off everytime the frog would..."talk"!! This game is one of the best I have played in a long time. And not just because the frogs so called language was hilarious. (However, that was just piles of frosting on the cake!) The story line is good. You have to help each frog/Prince to get to their Princess so the True Loves Kiss brings the Prince back to normal. This game is a point and click adventure with some HO's. (The HO's are mostly getting pieces to use in another area.) If you get stuck, there is a hint button. However, I don't think you will need it. You don't have to do an overabundance of back and forth like most games make you do. There is no map, however, you do not need one. 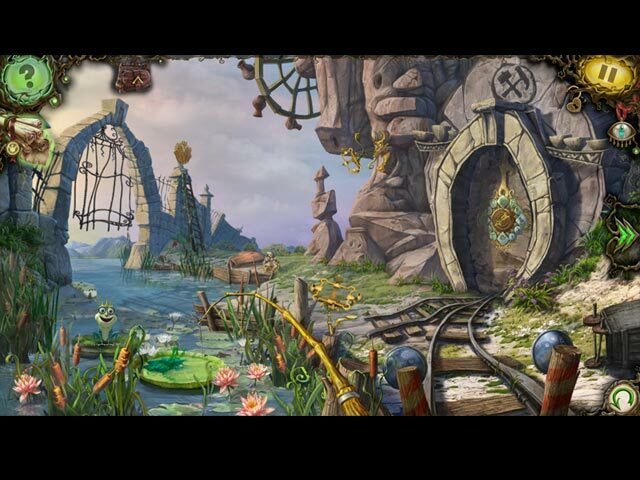 The game is straight forward on where you are, where you were and how to get where you need to. Once you finish the journey to get the prince to where he belongs, you go onto another Frog/Prince adventure in another location. This game is for everyone. Young, old, beginners, experts. The graphics are up to date. I had no problems playing on my PC. I highly recommend this game! It's a keeper. Rated 5 out of 5 by mommie2196 from Frog Princes are Fun I was so surprised about this game. I thought it would be kind of easy, but it's not. It's very challenging and it seems to go on forever. I am so pleased that I bought it !! I got it on special for $2.99, but this game is worth so much more. Play it then buy it! It's great! 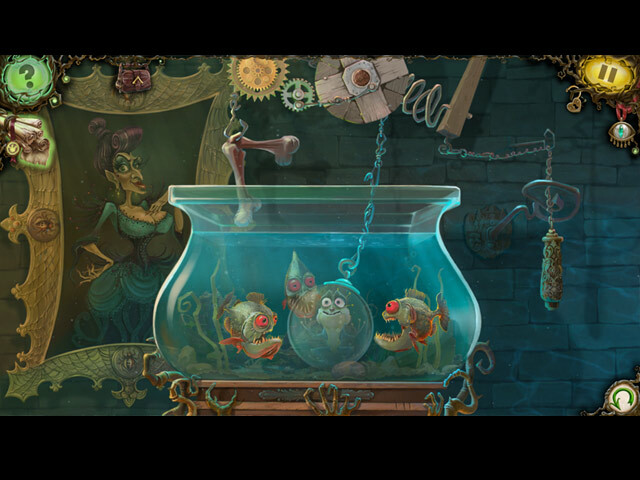 Free the frog princes from the clutches of an evil witch! Return them to their princess brides, and find out if the kiss of love can break the witch’s curse!